Conservation officers refused to kill a family of black bears in northern Pitt Meadows on Tuesday despite a farmer’s insistence to do so because they destroyed his bee hives. “We are not going to do that,” said Sgt. Todd Hunter, supervisor for the Fraser North Zone of the B.C. Conservation Officer Service, which includes Maple Ridge and Pitt Meadows. Last year, a bee farmer in Maple Ridge was convicted of killing more than 10 bears and fined $35,000 under the Canada Wildlife Act. Hunter said the farmer felt that, under the act, which allows for the killing of bears to protect against an immediate threat to human life or property, with no other recourse, he was justified. But it was not lawful, Hunter said, because the farmer was able to protect his hives with electric fencing. It is also not lawful to kill a bear that is eating fish left on a porch, or a steer on Crown land subject to a grazing licence. It is not lawful to kill a bear that is not an immediate threat to life, such as one repeatedly walking through a back yard while people are in their house, or frightening someone while they are in their truck, or hanging around a hunting camp. 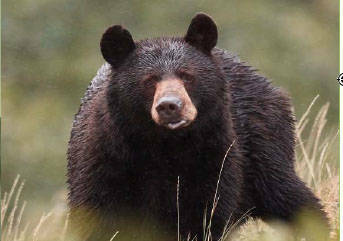 “We want to make sure all alternatives are met before destroying bears,” Hunter said. The Maple Ridge bee farmer was able to avoid paying much of the fine by taking part in a restorative justice program and improved the security around his hives. The Pitt Meadows farmers also had insufficient fencing around his hives, Hunter added. The conservation office will provide information about electric fencing to keep bears away from bee farms, as well as how to store food and food waste. It is important to know, he said, the Conservation Officer Service will ensure that an appropriate and consistent enforcement response is taken for any unlawful killing. The Conservation Officer Service understands the significant financial investment associated with bee keeping and is willing to work with bee keepers on a case-by-case basis, Hunter said.